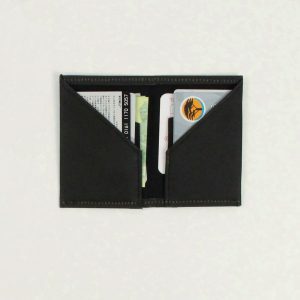 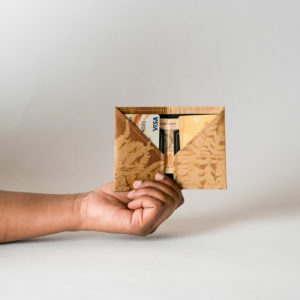 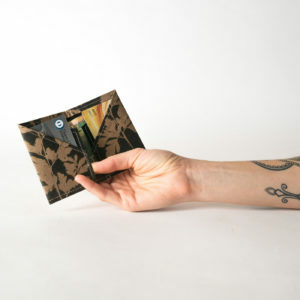 The ultimate slim wallet made from real paper made durable! 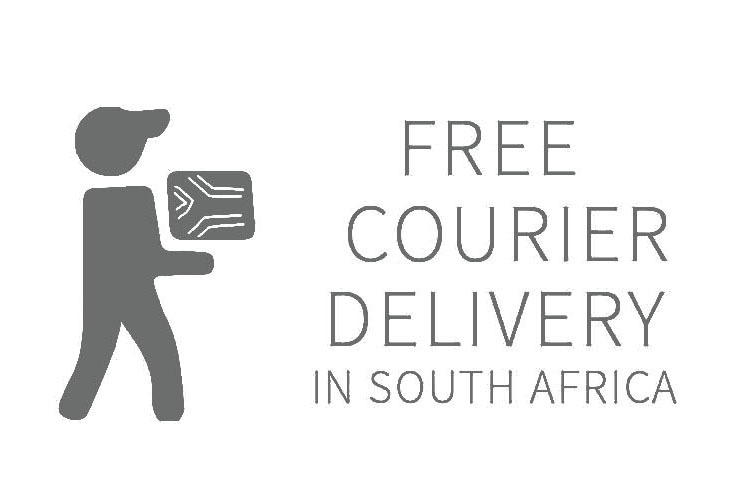 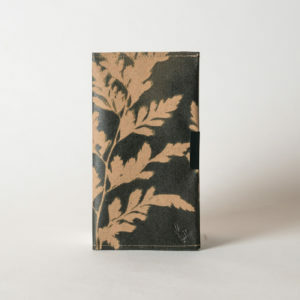 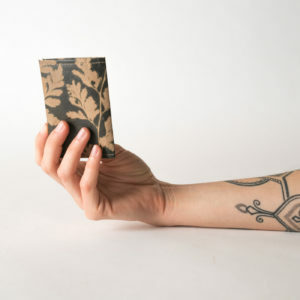 This range is a collaboration with well-known South African design studio EVOLUTION PRODUCT and features archived lithographic stamps used by the agriculture community and photographic images of ferns taken by Thomas C. Blagrave in the mid 1800’s in South Africa. 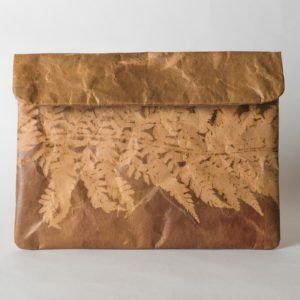 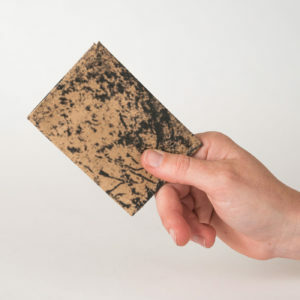 Made with reclaimed cement bag paper which is digitally printed with archival images and commemorative lithographic prints in collaboration with EVOLUTION PRODUCT. 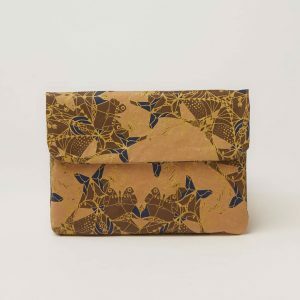 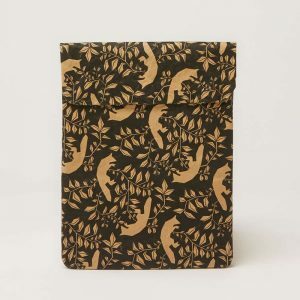 This special paper is then fused to cotton to make it strong enough to stitch and each product is handmade by our team of very skilled seamstresses. 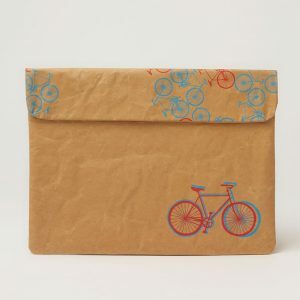 We also treat the Travel Folder with Nano Liquid Glass (an environmentally friendly coating) that makes the paper water resistant – just to make it that much more practical! With time, the wallet takes on it’s own personality. 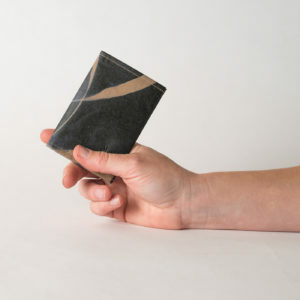 If it lives in the back pocket of your jeans it will take on some of the denim dye. 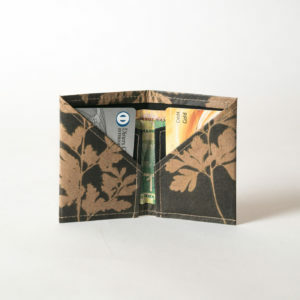 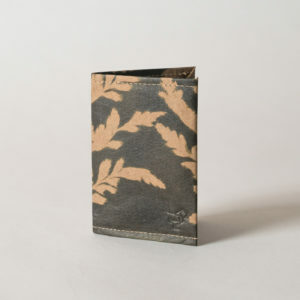 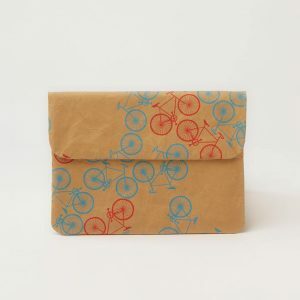 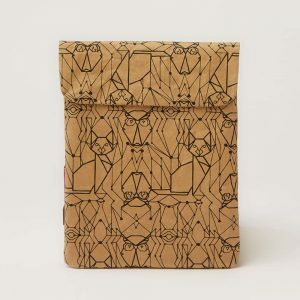 With use, the wallet softens and the print distresses revealing some of the virgin brown paper. 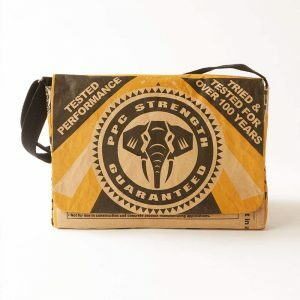 It takes on it’s own character and durability is in no way compromised.